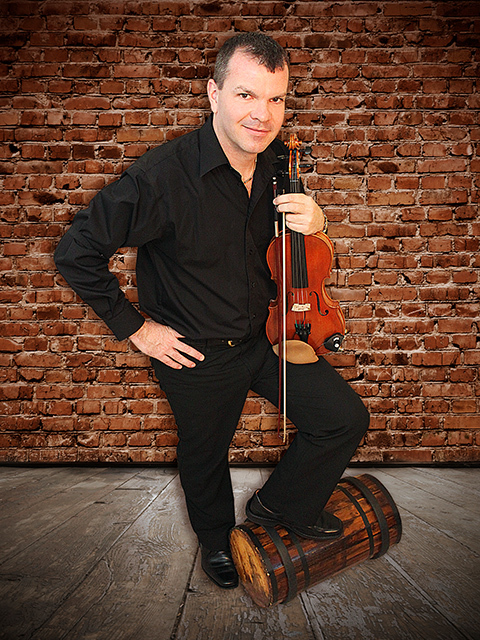 Tuesday, October 9th – Join Scott Woods and his talented band for this uplifting live show Fiddling Up A Storm and hear the flurry of fast fingers on a fiddle or guitar similar to a hurricane or twister, or maybe the calm before the storm. Enjoy lots of Canadian Old Time Fiddle music, Traditional Country songs, Western Swing tunes, Country Gospel favourites, fancy instrumentals, sweet harmonies, smooth vocals, sensational step dancing, family humour, inspirational stories, and of course some trick fiddling! Scott Woods, known affectionally as “The Flippin’ Fiddler”, is a two-time winner of the Canadian Open Fiddle Contest, two-time winner of the Canadian Grand Masters Fiddle Championship, and Fiddle Entertainer of the Year. Scott’s sister, Kendra Woods Norris, a multi-instrumentalist and Canadian Duet Fiddle Champion (as well as having won several solo classes at the Canadian Open Fiddle Contest in her age categories) will be joining Scott on stage, playing piano and harmony fiddle. Steve Pittico, who has been named Canadian Country Music Association’s Guitar Player of the Year, Instrumentalist of the Year, and Bluegrass Award winner for Flat-Picker of the Year, will be adding his amazing talents with his distinctive “Tele Sound”. Also on stage will be the lovely and talented Linsey Beckett. She is a multiple winner of numerous Canadian Fiddle Contests and is a Champion stepdancer.